Yet another Into the Paranormal Wednesday! I decided to do a fun post today. So, what is my favorite paranormal creature? That's an easy one! It's got to be werewolves. I've had a strong love of wolves for a very long time, ever since I was a child. 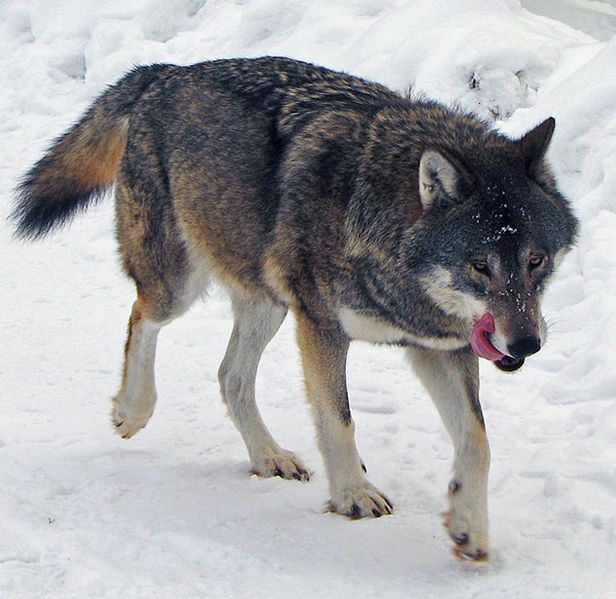 The possibility of a person being able to change into a wolf utterly fascinates me. Mind you, I imagine werewolves not as the ugly creatures depicted in some movies, but more a lot more wolflike. Sure! They probably have a half-man/half-wolf form, but I still like to think of them as being relatively attractive in that form as well. Large and very muscular, but not gruesome. My love for them as continued to grow since I first started reading paranormal romance and urban fantasy. One of my favorite authors who I think writes excellent werewolves is Laurell K. Hamilton. For me, she really sums up how I picture them. Ilona Andrews is another author that really masters shapeshifters in my opinion. Your turn! What is your favorite paranormal creature? And who are some of your favorite authors that you feel sum up the being really well? I have a friend who works with wolves (Iberian wolf) and she adores them. She says they're only dangerous when hungry or threatened, otherwise they're playful, courageous and loyal animals. That's really cool, Sue! I'm totally going to have to use that information for one of my books with werewolves in it. Hey, there's nothing wrong with vampires! :-D I like them too. Angela Knight is another author who's created a great werewolf - hers can be human or wolf, or a direwolf that is a lethal combination of the two. That's very true! If I could be a shapeshifter, I'd probably become a big cat too. I love cats, and they're very agile.